These are ideal gifts for plant lovers, uniquely available from out Nursery; a mature flowering plant in a colourful ceramic pot. The 12cm plants can be despatched for a specific date between April and October, hand-picked straight from our glasshouses; within 2-3 weeks the plants will be a mass of colour. 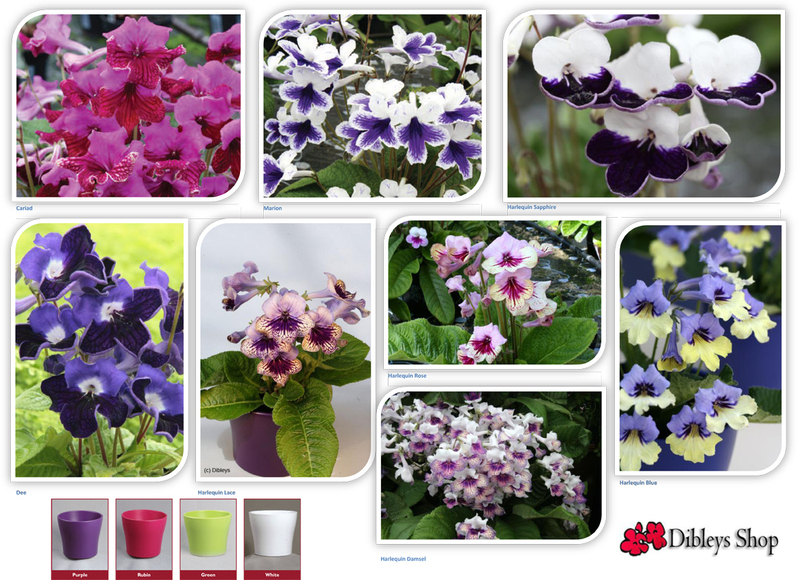 Choose from the streptocarpus listed and then add your colour choice of ceramic pot. Sorry, we are unable to ship these plants outside of the UK.